Knead the olives and flour into the dough, shape into a piece of bread approx. 30 cm long. Place the bread on a baking tray lined with baking paper. Bake for approx. 40 mins. in the centre of an oven preheated to 180°C. Remove from the oven, allow to cool slightly on a cooling rack. Combine the balsamic and oil and mix well, add the onion and mix together. 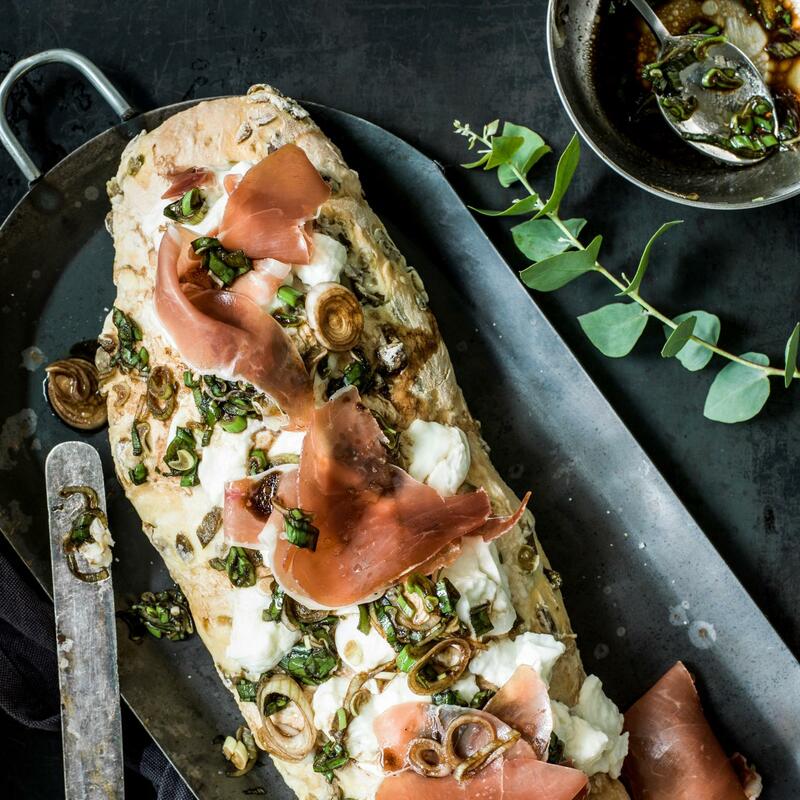 Place the mozzarella on top of the olive bread, spread the onion dressing and cured ham over the top, season. Use 200 g of feta instead of mozzarella.